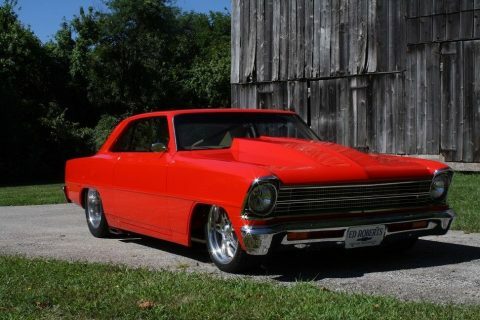 Gateway Classic Cars of Nashville is excited to present this iconic Tri-five for sale. 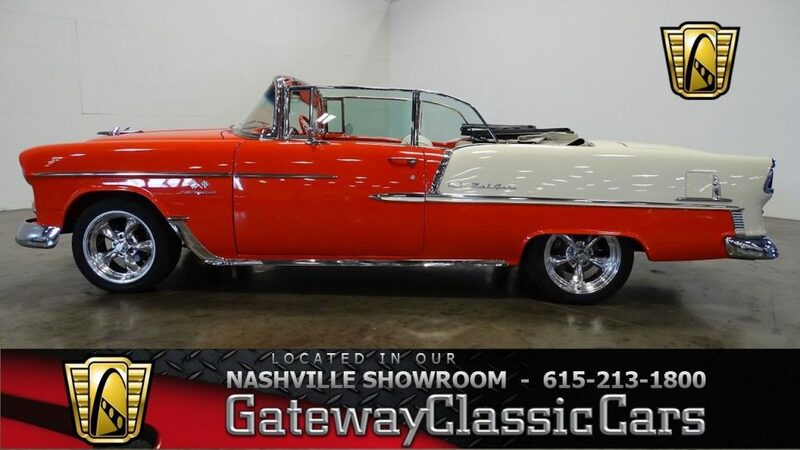 This 1955 Chevrolet Bel Air convertible for sale in our Nashville showroom is in excellent condition and will turn heads wherever you go. 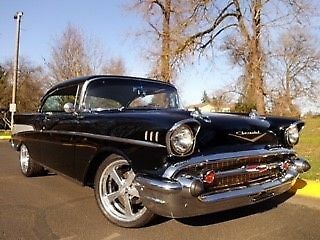 This 1955 Bel Air offers a throaty V8 engine with plenty of torque on tap that is backed by a stout automatic transmission. 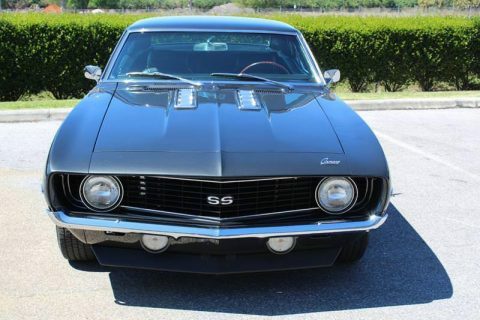 This is a late model engine swap done right! 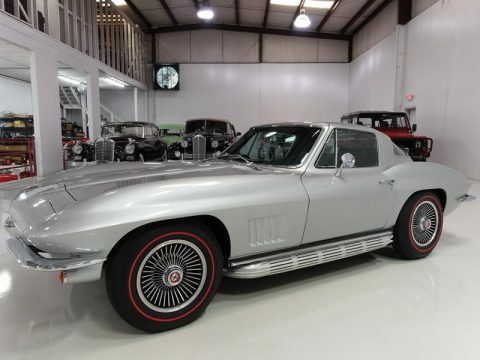 The odometer reads 6005, which represents the mileage since the build… was completed. 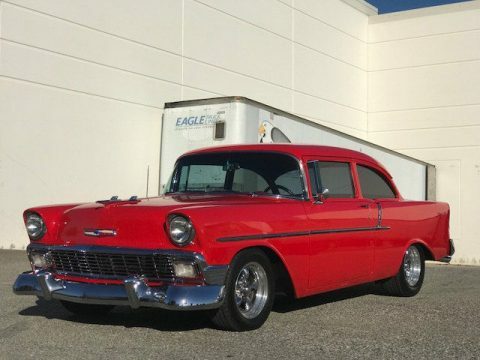 Boasting beautiful GM colors, this 1955 Chevy shows wonderfully in Matador Red and is accented by mirror like chrome and stainless trim. 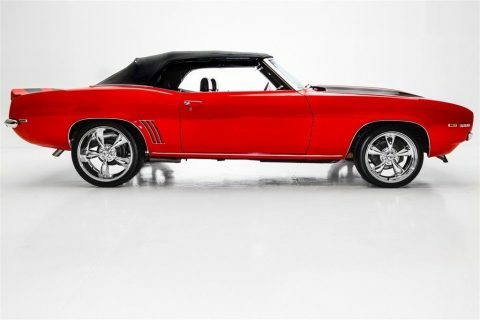 Looking inside the red and white interior takes you right back to the 50s with a touch of modern style and convenience. 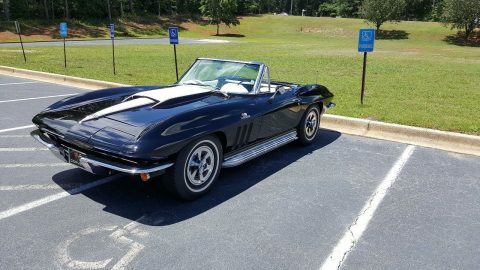 Have a seat, turn the key, and drop the powered top with a touch of a button. 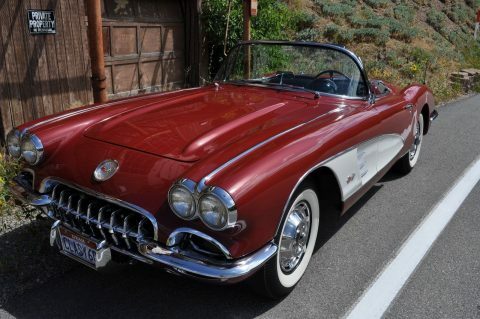 While driving enjoy the all digital gauge cluster and wonderful modern air conditioning. 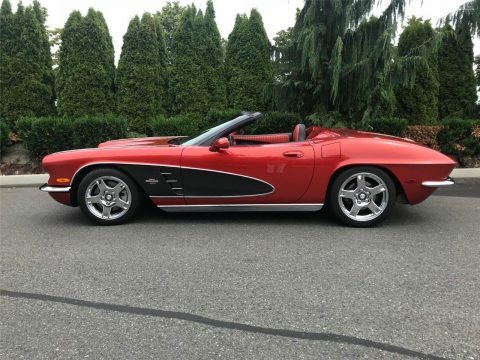 The red and white interior is paired well with a matching soft top. 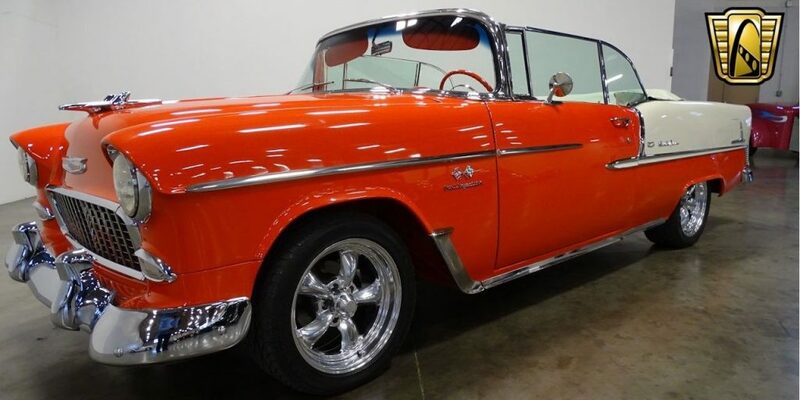 Options for this 1955 Chevrolet Bel Air Convertible include: Power windows, Two Tone leather Interior, Power Brakes, Power Steering, Tilt Column, Modern Radial Tires, and alloy wheels. 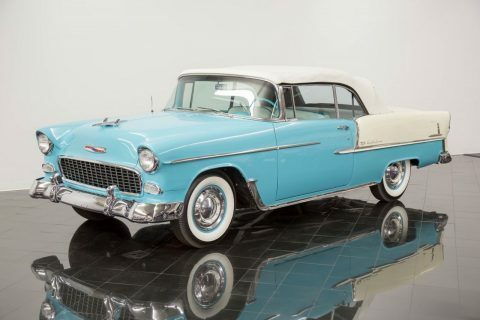 The â€™55 Chevy is one of the most recognized icons in Automotive History. 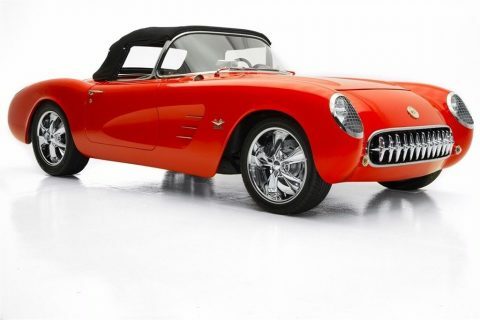 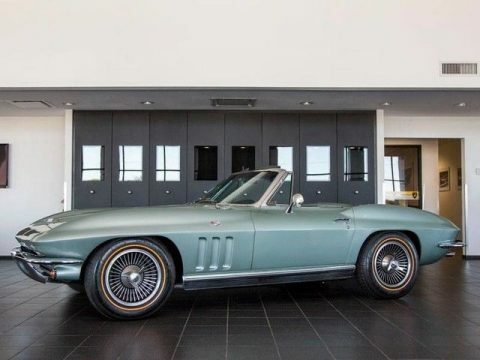 The Tri-fives are some of Americaâ€™s best and most loved cars and this car is a beautiful example of taking the style and soul of the 1950â€™s and pairing it with modern innovations and equipment to create a car that is both nostalgic and extremely drivable. 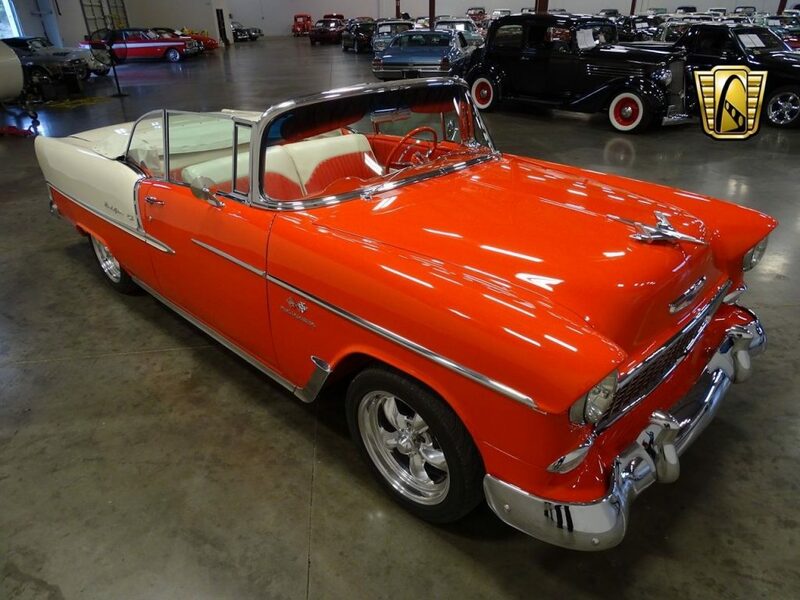 This 55′ Bel Air convertible looks like it just drove off the showroom floor in 1955, but is equipped as well as any modern Chevrolet. 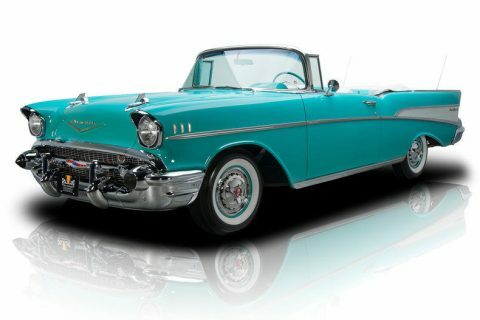 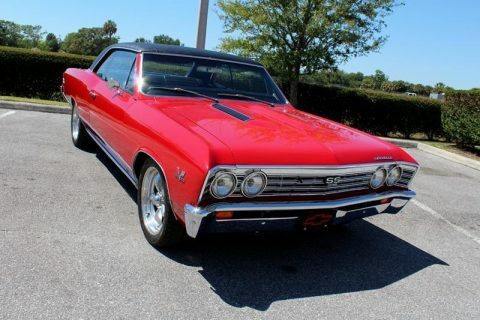 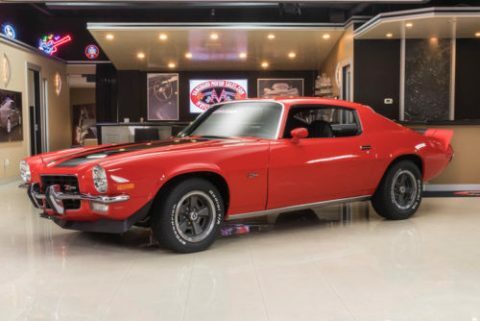 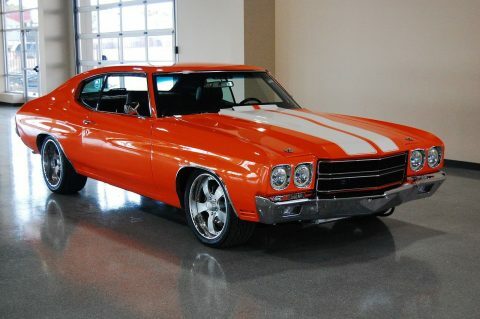 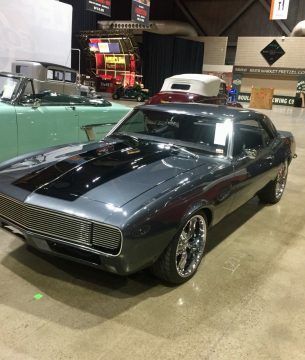 Here’s the chance of owning a piece of American history that is not only nice to look at, but a pure pleasure to drive. 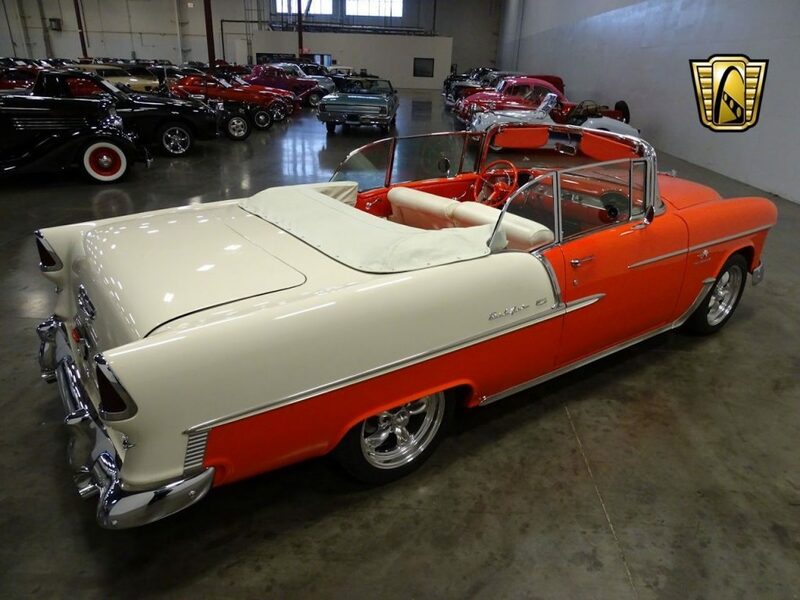 Put on your sunglasses, let down the top, and enjoy a summer cruise to the local drive-in today!